Outside My Window…Beautiful, blue sky. Looks like it will be a wonderful day. I am thinking… It is so nice that Ashley is back home from here retreat. I am thankful for… My very comfy blue slippers. From the kitchen… My husband made scrambled eggs this morning. He is the best. I am wearing… Brown capris and a white top. I am creating… I left my knitting at my Mother-in-laws over the weekend… sorrow. I am going… To take the kids to the park or the Grotto today, I haven’t decided which yet. I am reading… The Omnivore’s Dilemma, Laundry, Jonathan Strange and Mr Norell and It’s All Too Much. Same as last week. Omniovre should be done this week. I am hoping… That my sinuses clear up. I am hearing… Just the computers running so far… very quiet morning. Around the house… My summer Fling Starts today. Today is the Kitchen’s day. I need to menu plan. A Few Plans For The Rest Of The Week: Not sure yet, I need to come back to this one. I hope you get your knitting back soon. That is sorrow, for sure. Have a blessed and peace-filled week! An interesting photo. Looks like a bed in a cave but what are the knobby things. 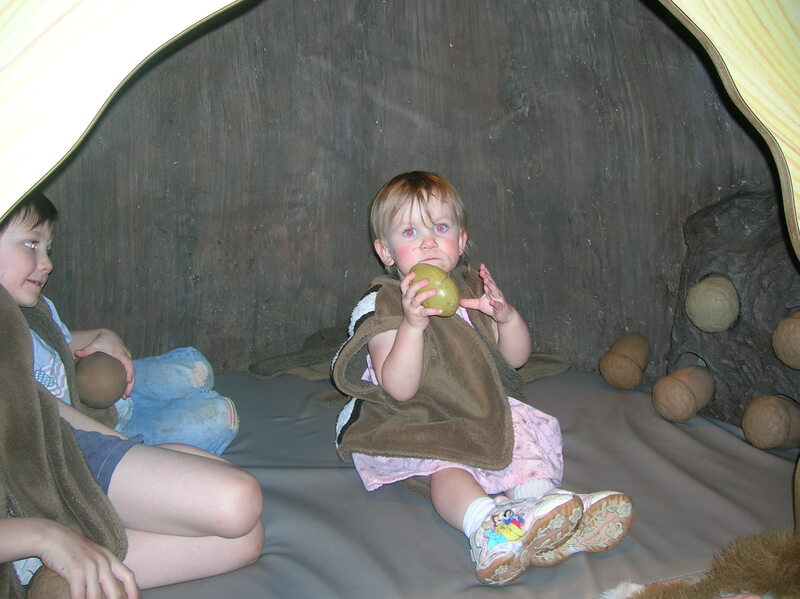 The local science museum has a wild-life play area where the children can dress up like chipmunks and play in a “tree” with “acorns”. They love it. You are currently reading The Simple Woman’s Daybook — June 23 at Simply Catholic.